10,5 x 15 cm. unpag. A “strolling” guide inviting the public to take a walk to the Beyond side. 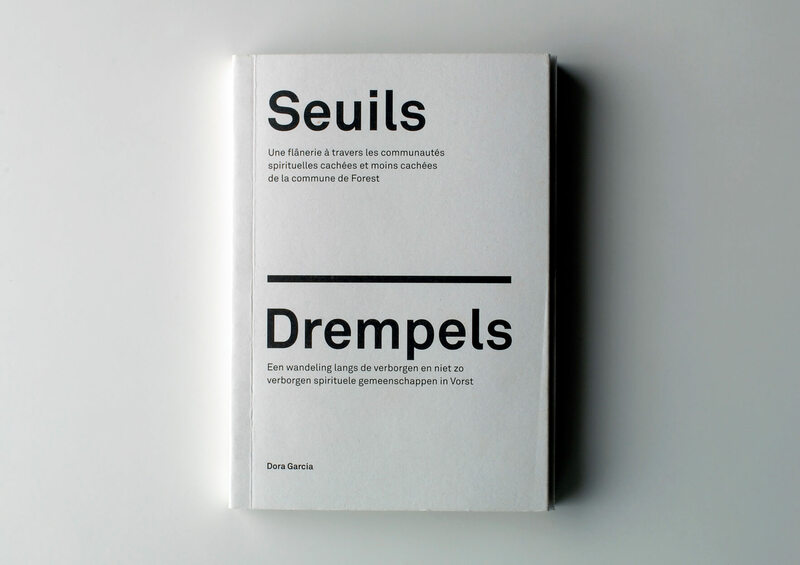 An architectural/urban/tourist guide to the doors of the buildings, private or public, where a community meets for spiritual purposes in the city of Brussels. An annex is added at the end, giving further explanation regarding the beliefs that were too large or too complex to be contained in the entries. All buildings are housing the community reunions at the moment of publication of this book. Some of them did not want to appear, and their wish has been respected.